About two weeks before your course starts, the online coordinator/one of your instructors will send you an email. It will contain instructions for downloading and installing an application you will need to participate in your classes. When you have downloaded the application, you will email the online coordinator/one of your instructors saying that you are ready. Another email will come to you giving you the internet address for ALA SkyCampus, for your ALA SkyCampus account and password to sign in to ALA SkyCampus. At a selected time, you will sign in to the online school. You will meet the online coordinator/one of your instructors there. He or she will completely orient you to the online school environment. This may take up to eight hours and more than one session to complete. Assess your current use of time for one week, keeping a record of daily activities and how much time you spend on each. Create objectives for each day week and month and arrange your assignments to achieve those objectives. Use a daily planner or calendar and maintain a list of things that need to be done. Only agree to perform essential functions to avoid being inundated. Set up a place (study room) for you to complete all of your classwork without distractions. Visit your online course early and often to get well acquainted with the class and curriculum. Know the dates each assignment is due, and make your own calendar for assignments and projects. Plan sufficient time to complete tasks, and be sure to include some extra time in the event there are any problems (technical or otherwise). Do not forget yourself. Everyone needs to sleep, exercise, eat well, enjoy life, and have time for family and friends. The online learning environment is different than the environment in a school classroom. Student engagement with the instructor, materials, and other students is critical to student success. 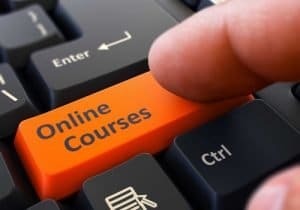 Much of that success is supported by the structure of the course and instructor; however, all participants must actively create an online village that has spirit and works to support each participant. Participating in an online class is more than just showing up for class. Just like in person classes online classes are a reflection of the participants and their level of involvement. Students have to keep up with the class and all of their assignments. That not only includes attending classes but also enthusiastically participating in class. There will be in class and out of class assignments as well as other opportunities to collaborate and interact with the other members of the class outside of class time. There will be a variety of collaborative spaces set up by your instructor with clear explanation on participation and expectations for students. What Should You Expect of Your Instructors? Time is very important. ALA SkyCampus courses have been prepared with that in mind. Each student's experience will be individual even though all participants are in the same class. Additionally, each student possesses different skills and talents which means not everyone will need the same amount of time to complete the same tasks. Understanding your instructors and their expectations of you will require delivery of clear and precise directions. We do not want you to feel confused or unable to perform. If you have any doubts, ask for clarification. Online teaching is dependent on equipment and the internet. We will support you fully and vigorously avoid technical obstacles in the learning process. Classes meet five days a week. We will be online together a minimum of twenty-two hours a week. If you miss classes, your instructor will check on you using email. After all our classes has grown into community learners who support and care about the success of all its members. Working together anything is possible.